Your kids are bored and no longer interested in your animals. 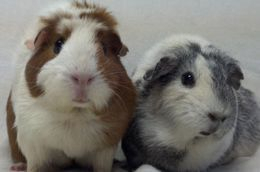 They are tired of being in trouble for not cleaning the cage, and you are tired of nagging them to do it. 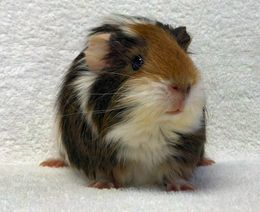 Or maybe you are moving and don't want the hassle of trying to move your guinea pig. Or your rabbit just sits there all day in its too-small cage and has no personality. Or you have the sniffles from being allergic to the hay. So what do you do? We don't want you to surrender your animals! We would be happy to set time aside to talk with you about properly caring for and integrating your pets into your family. 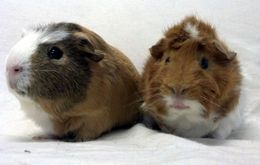 Guinea pigs and rabbits are not just "children's pets." 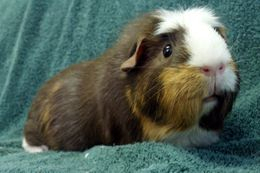 There are plenty of adults who love and enjoy guinea pigs, appreciating them for the precious pets they are. Maybe you could learn to enjoy the stress-relief that comes with holding a purring piggy. Maybe your single piggy needs a better cage or a friend to show you how much more interactive and interesting he can be? A different, bigger cage can make a huge difference to you and your guinea pig. We have seen repeated instances where piggies with "no personality" have been completely transformed into adorable companions when fed a proper diet, given room to play, and given a companion piggy. Having allergies to the hay? Many options exist for managing allergens, from HEPA air filters to changing from Timothy hay to Orchard Grass. Let us know what's going on and we'll try to help you come up with some solutions. However, if you simply must rehome your guinea pig or rabbit, you should try to do so yourself before asking us to take in your animal. Additionally, you should exhaust all other avenues - Facebook friends, church friends, neighborhood homeowners' association classifieds, sports / dance / scouting friends, etc. You may also place a classified ad in your local paper, try your local veterinarian's office, and/or contacting your local SPCA (www.spca.org). When rehoming your pet, never advertise it "Free to good home." Always request a rehoming fee of $25 to $30. This will prevent your piggy or bunny from becoming reptile food. And please let the new families know about our Rescue if they have any care or feeding questions. If we have room and agree to take your animals, we have a $30 per animal surrender fee. If we don't have room, we can take your information and put you on a waitlist, so don't wait until the last minute. Lastly, please do NOT DUMP YOUR ANIMAL ANYWHERE. Releasing a domesticated pet into the wild does not "give it a chance at life." It is a death sentence. 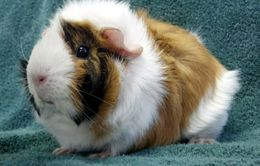 Pet Guinea pigs and rabbits cannot tolerate the extremes of heat and cold, they are easily preyed on by dogs, wild animals, and birds of prey. They will starve to death or die of dehydration. along with your name, city, and day/evening phone numbers.